Section 1 of the Electoral Act 2010 as amended empowers INEC to carry out voter registration exercise for persons who are eligible. The criteria for eligibility are (1) Nigerian citizenship, (2) residency in Nigeria and (3) attainment of minimum age of 18 years. But the last registration exercise that ended in September did not make provision for the presentation of any form of evidence to verify the eligibility of persons. As a result, foreigners and under-aged persons found their way into the list of registered voters. Obviously, this will undermine the process, especially when Nigerian citizens have been captured through sim card registration, bank verification number exercise, and National Identification Number process. INEC ought to properly verify persons who turn up for voter registration exercise but due to negligence, the country has already recorded thousands of nationals of Cameroon, Chad, Niger, Togolese and Beninese among others who are now in possession of the Permanent Voters Card. This no doubt portends a great danger to the credibility of the coming election. 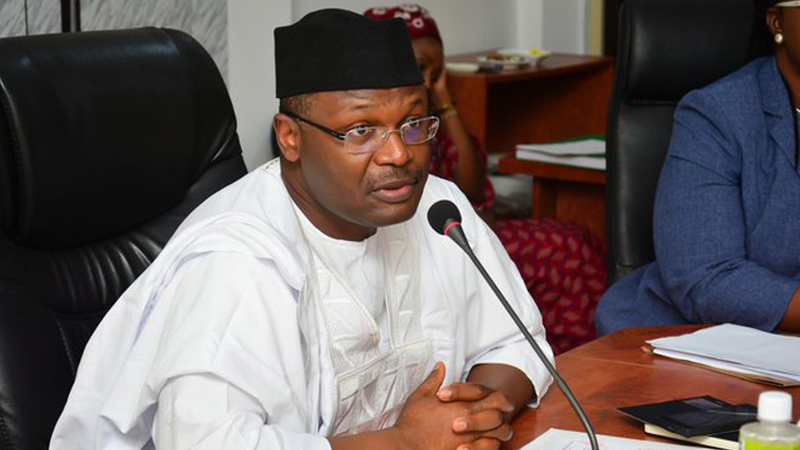 Interestingly, it was INEC chairman, Mahmood Yakubu who first raised the alarm last year that foreigners were already in possession of the temporary and permanent voter cards, while inaugurating the Continuous Voters Registration (CVR). He had admonished security operatives to monitor the exercise in all the 774 local government areas of the country to prevent illegal immigrants who might want to partake in the exercise. Yakubu affirmed that the move could undermine the genuine efforts of the commission, as the law of the land did not accommodate foreigners to register as voters and vote in the country. Also, the Southern and Middle Belt leaders Forum in a communiqué signed by Yinka Odumakin (South-West), Senator Bassey Henshaw (South-South), Prof. Chigozie Ogbu (South-East), and Dr. Isuwa Dogo (Middle Belt) earlier this year raised the alarm on the threat the anomaly could have on the credibility of the election. The leaders alleged that intelligence report at their disposal showed that INEC was registering Nigerians and foreigners for the purpose of voting in the 2019 elections. Also, a group under the aegis of Atiku-House-2-House Campaign initiative accused INEC of registering foreigners and issuing them PVC. National Coordinator of the group, Col. Chichi Obi (rtd), said it was important for the Federal Government to call the electoral body to order. But despite the signals and warnings by well meaning Nigerians, the abnormality like a cancer, has not been addressed just three months to the election. This was as the Lagos State Resident Electoral Commissioner, Sam Olumekun, at a stakeholders’ meeting, disclosed that the total number of registered voters, including 700,000 newly registered voters, stood at 6,609,115. 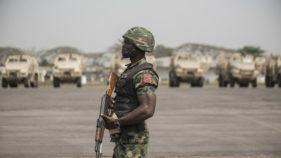 However, among the registered voters were nationals of Cameron, Chad, Niger, among other neighbouring countries, thousands of who were identified by the state command of Nigeria Immigration Service (NIS) during different raids. The Deputy Comptroller of Immigration in the command, Owoeye Rufus, made the disclosure and said 2,000 PVCs had been seized from foreigners, most illegal migrants. Rufus said some of those apprehended claimed they were from Sokoto and Maiduguri, but that through their training, the immigration officers were able to detect their actual nationalities. He explained that because most of them bore similarities with Nigerians, the electoral officers might not be able to identify them. Rufus noted that there was an influx of Togolese and Beninese in Yaba area, adding that local government authorities should help INEC fish out any foreigner collecting PVC. “We told some of them in Yaba that we are not sending them away, but they are collecting PVC, which is wrong, as they are not eligible to vote. We are ready to seize as many PVCs as possible,” he assured. He maintained that bribing the electorate with huge sums of money on the voting day represents the most dangerous form of threat since the independence of the country in 1960. 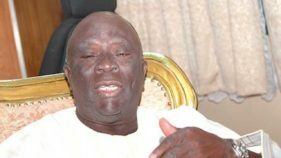 Adeleye argued that this was a calculated attempt to complete a cycle of corruption across the country by the ill-conceived desperation of the ruling class to spread the whirlwind of aggression and belligerence across the country. 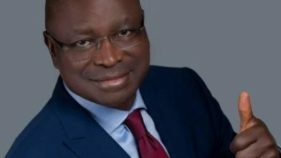 He said the failure of the government to prosecute the masterminds of perceived electoral frauds in the recent Osun State gubernatorial election was a threat to the perceived credibility of the 2019 election. While lamenting that President Muhammadu Buhari, whom Nigerians thought would fight corruption to the barest minimum, has, however, been quiet on issues regarding vote-buying, Adeleye declared: “We condemn in strong terms the cold attitude of Buhari towards this criminal conduct of politicians. We regret to observe that INEC’s officials saw these criminal conduct but decided to look the other way. “In Osun State, reports from our field officers indicated that voters were paid to the tune of N10, 000. On election day, voters were paid half of the bribe and were asked to collect the remaining half after the election. “This group moved from one house to the other collecting PVCs. One would have expected INEC to apprehend the criminals. The masterminds have now devised new ways; the party agent stands at the polling unit and watches the voter to establish which party the voter votes for. Once it is confirmed, the voter’s name would be marked after which the voter would be invited to collect the money. The NHRC director expressed alarm that “this trend might dominate the 2019 elections,” and cautioned that if this happened Nigerians should be prepared for the worst economic, cultural and political genocide that has never been seen. Convener, Journalist for Democratic Rights (JODER), Adewale Adeoye, lamented the lack of basic amenities among the populace, saying the cost of governance should be reduced to make political offices less attractive. Comrade Ajayi Taiwo told The Guardian that insinuations that the Osun State gubernatorial election was free and fair are untrue, saying that a particular candidate and serving senator was seen in a video bragging that he would bribe voters with naira and dollars on election day. He noted that this could only mean that politicians were proud that they could buy voters with money and go scot-free. He urged the government to end the trend. However, speaking on the topic, “The Independent National Electoral Commission and the Challenges and prospects of leadership recruitment for good governance in Nigeria,” at the sixth convocation lecture of Oduduwa University at Ipetumodu, Ile-Ife, Yakubu said INEC was fully prepared for the elections. “In all fairness, the commission has drastically leapt up from where it was when democracy was resurrected in 1999,” he stated. Yakubu identified the growing trend of vote-buying, do-or-die political mentality, absence of internal democracy in parties and poor management of intra-party contests, as bane of the electoral process. He lamented that other challenges faced by INEC are incendiary speech, insecurity, impunity and lack of consequences for electoral offenders.